Home / STORE / Naasgransgarden. 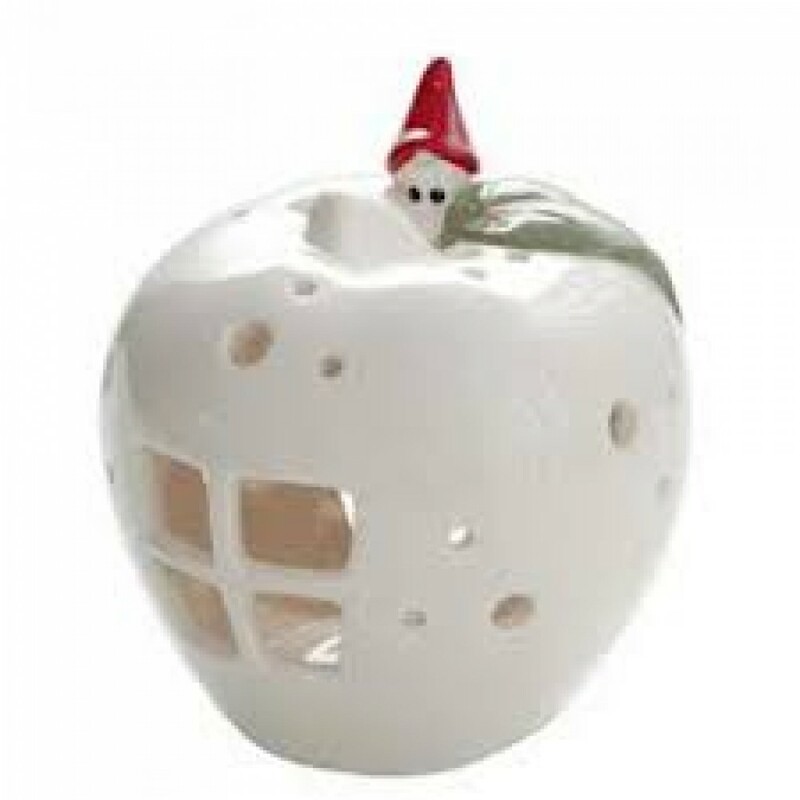 / Lantern Nisse on Apple. This little Nisse with his red hat sits on the apple to see all the good work he has done on the Apple Farm. White ceramic apple with a green leaf stands approximately 16cm high.